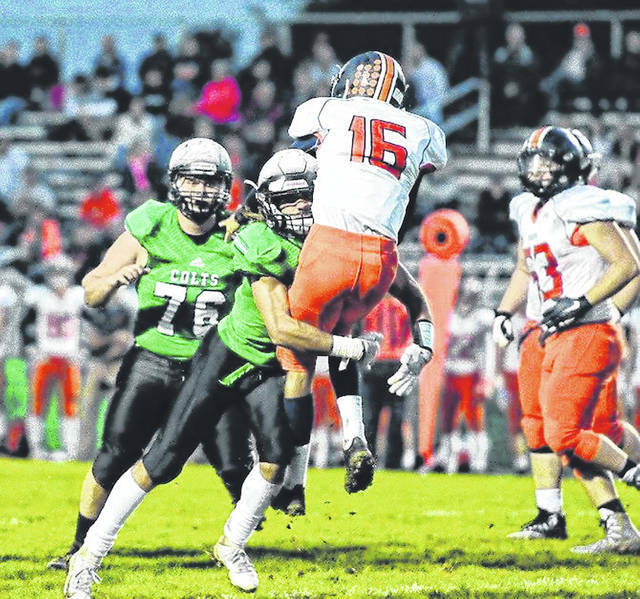 GALION — The Mid-Ohio Athletic Conference, consisting of Clear Fork, Pleasant, North Union, Buckeye Valley, River Valley, Ontario, Harding and Galion High Schools, released its 2018 football all-conference teams. Unlike some conferences, the MOAC divides their student-athletes into offensive and defensive first and second teams ,while also compiling a list of honorable mention players. Middleton finished fifth in the league in rushing from his quarterback position, picking up 1,005 yards on 215 carries which was good for 14 touchdowns. Middleton also sat atop the conference standings in passing, completing 109 of 199 (54.8 percent) attempts for 1,688 yards while throwing 17 touchdowns to just eight interceptions. Alsip, Middleton’s primary target in 2018, was the only player in the conference to crack 500 yards and did so in a big way, catching 56 passes for 1,012 yards en route to 11 touchdowns. 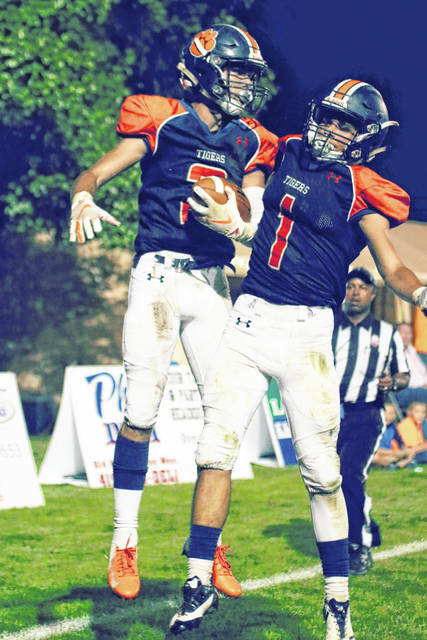 Alsip’s numbers averaged out to 18.1 yards per catch and a remarkable 101.2 yards per game. Abouhassan did a stellar job on the “O-line” protecting Middleton and aiding in the running game and also finished with nine sacks on the defensive side of the ball while Griffin finished eighth in the league in receiving with 25 catches for 386 yards and three touchdowns. In addition to his offensive performance on the season, Griffin returned 12 punts for 301 yards and a touchdown while also fielding 13 kick returns for 340 yards and a touchdown. Griffin and Alsip both did a solid job in the Tigers’ secondary in 2018, recording five interceptions apiece. Pennington finished second in the tackles department in the MOAC, finishing the season with 136 total tackles, nine of which went for a loss.